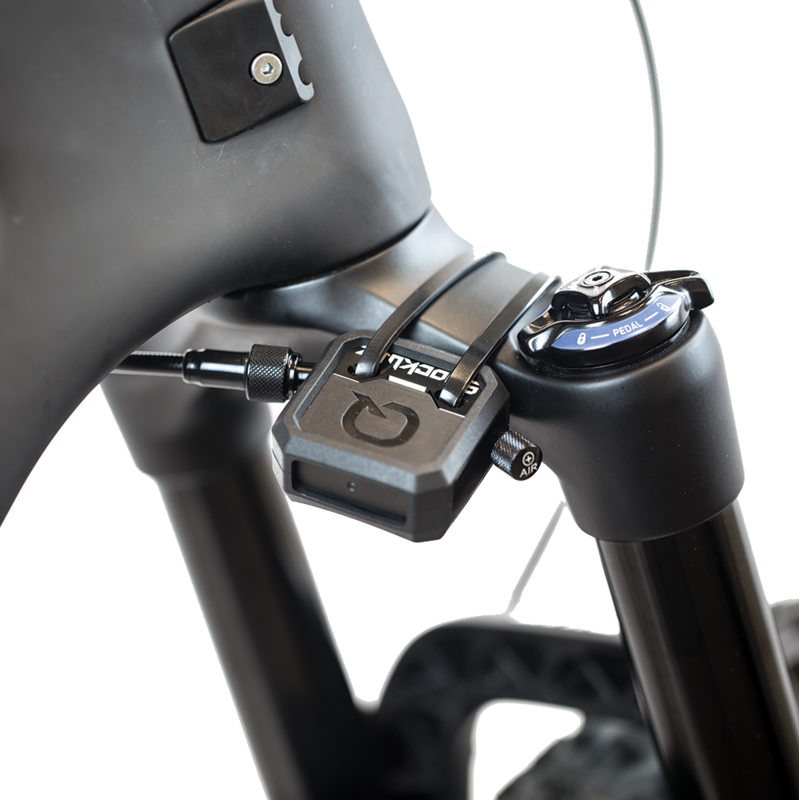 With the movement to 1x drivetrain setups with left-hand dropper post remote levers, I’ve found it difficult to find a bell that mounted to my cockpit in a way that was easy to access and ring, without taking my hands off the grips or having to unwrap my thumb, etc. Previously, I had used a Mirrycle Incredibell Brass Duet Bell (~$10 from Amazon; Warning: if you buy this bell, be sure to buy from a REAL bicycle shop such as “Trail This”, as many of the ones listed are fakes made in China ~$2, while the genuine product is made in Japan). The bell also has a very loud and long ring tone, which rings both on the initial push and also on the return of the lever, so 2 pings per push (“Ding-ding”!). 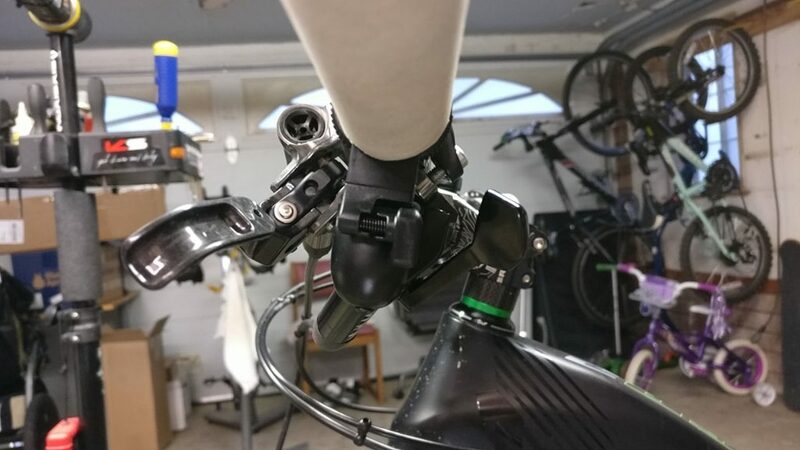 I mounted the Duet bell upside-down on the left-side, situated where my index finger would normally hit the release trigger for the front derailleur shifter. When used in conjunction with my RockShox Reverb plunger-style remote (right-hand remote, mounted upside down on the left-side and actuated by my thumb), this setup worked great and was very ergonomic. But when RockShox came out with their new 1x remote lever, I upgraded to that style remote and actuating it collided with the bell! After a bit of searching, I finally found an underbar-mounted bell that works great for today’s 1x setups and underbar dropper remote levers. And here it is. Ta da! Trigger Bell! The bell is designed to be flicked by your thumb, allowing your hands to be fully wrapped around your grips at all times. There are several mounting positions, but for a 1x setup, this is how to do it. 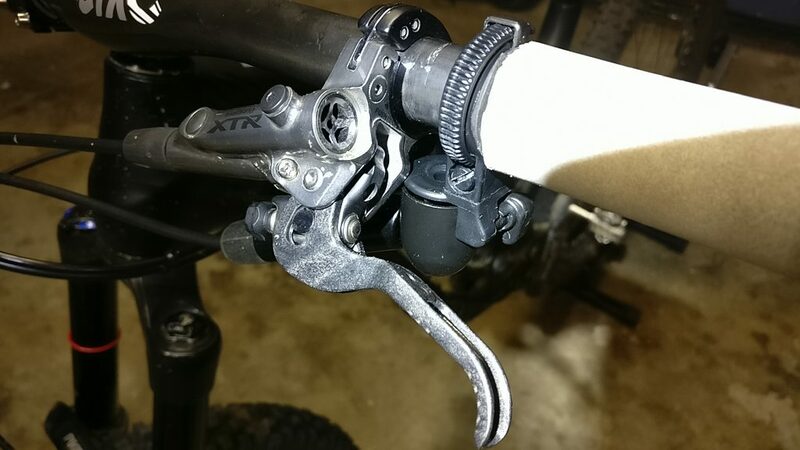 The Trigger Bell mounts beneath the brake lever and in front of the dropper remote lever. It doesn’t interfere with any brake or remote lever actuation, nor does it interfere with my fingers or grip. And get this: You can even ding the bell while braking! Note: Usually, it mounts to the outer 1/4″ of the grips, but my grips were cut short by that much for my previous bell setup, so I used a piece of rubber to mount the Trigger Bell where it was supposed to go. While not as loud as the Duet bell it replaced, it is still plenty loud for trail riding and alerting hikers, etc. And I really like the ergonomics and using my thumb to ding it. 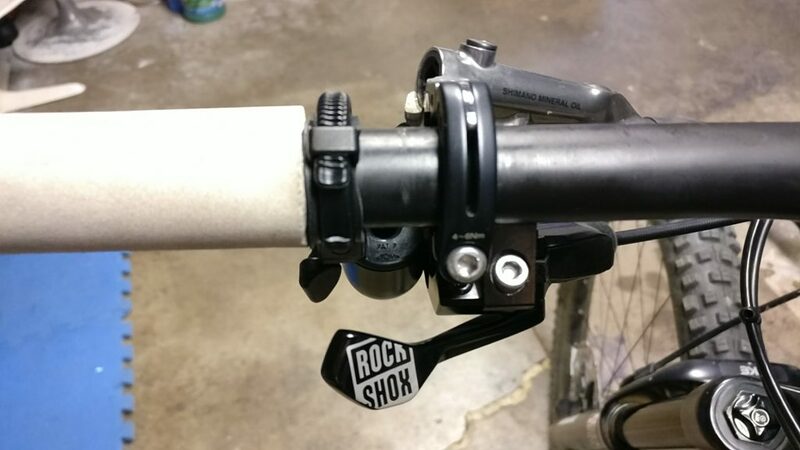 If you have a 1x setup and are struggling to find a bell that works with your underbar dropper remote lever, try the Trigger Bell! Best part? It’s only $12.99 at Amazon! This entry was posted in Bikes on June 8, 2017 by bryanus. TL;DR Check out my sister website at FeelTheBerm.com for more details, pricing, and to reserve a set! Rent a ShockWiz today! Renting Nationwide! In the box: ShockWiz hardware, front and rear-specific hoses, rubber mounting boots and zip ties. SOUNDS AWESOME! How much do they cost? 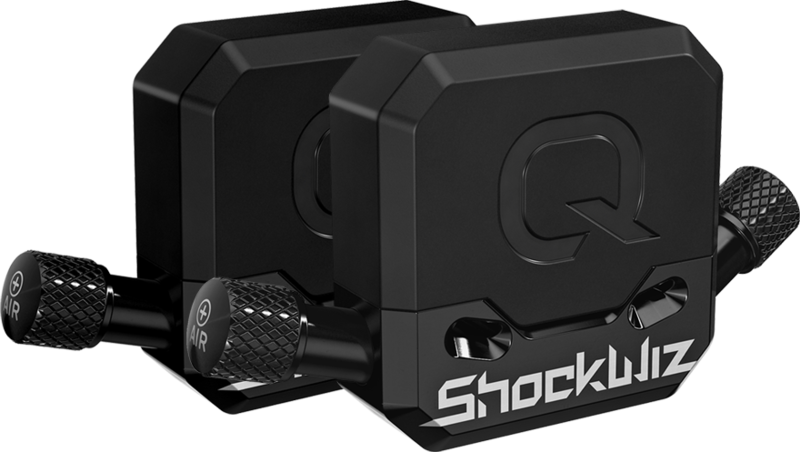 SRAM has priced the Shockwiz at only $399 USD EACH! Uh, I think I’d rather rent them! Good thinking! Check out my sister website at FeelTheBerm.com for more details, pricing, and to reserve a set! Rent a ShockWiz today! This entry was posted in Bikes on June 5, 2017 by bryanus.